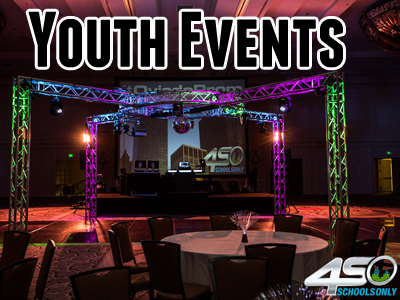 Trust your event to Polk County's most experienced event production company. Our weddings, parties, birthday celebrations, and company parties are always the talk of the town. Based out of Winter Haven, we service all of Central Florida (Lakeland, Orlando, Tampa, Sebring) and provide DJs, lighting decorations, photo booths, string lighting, fabric, pipe and drape, and much much more. 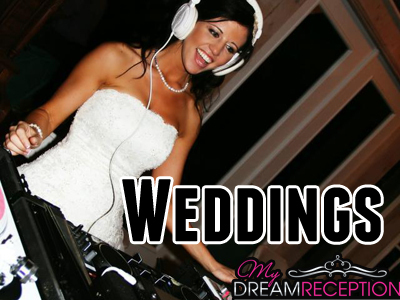 Though based out of Lakeland and Winter Haven, our wedding DJs have performed at various venues in Orlando, Tampa, Sebring, and overall most of Central Florida. Aside from the typical "wedding DJ" duties, such as keeping the flow going, we get back to the root of why started as a DJ company: to make sure you have fun! Your wedding reception is a celebration, so count on us to make sure you enjoy every minute of the most important day of your lives. Click here to see more of what we offer... and not just DJs, we offer the best lighting anywhere in the state from industry-known lighting designers! Monograms, uplights, string lighting- we can do it and so much more! We gotta brag here: Did you know our youth / school dance division, 4SchoolsOnly, is one of the most recognizable names worldwide in the event industry? 4SO was one of the first to bring a totally new experience to the ordinary teen dance! DJs who actually mix, lighting and lasers like no other company offers, and video screens as wide as 56' wide is just the beginning. We've done homecomings, proms, Sweet 16s, Quinces, Bar/Bat Mitzvahs, birthday parties, and of course college festivals. There's a reason our motto asks: R U Rockin' With The Best?! Click here to see more! Whether you need entertainment for your corporate function, or a turn-key audio-visual solution, rest assured APE will be able to accommodate you with no effort on your part. 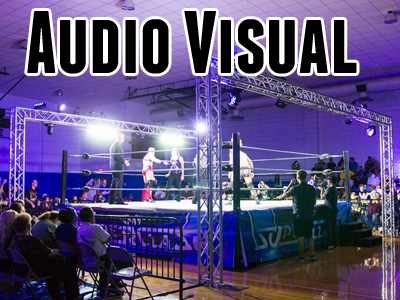 We offer some of the best-sounding gear available to any industry professional, bright video screens, special effects, projections, pipe and drape, spotlights, and more! On a budget? Call us and ask about our rental programs or pay just for delivery and breakdown. We make no compromise between quality and budget- so you can always expect the best no matter what your needs are! Click here to see more!